Made in the Midlands Patron CEC Direct has enabled a leading tier one supplier of castings and machined components to better control its energy costs. Shield Group, which operates from six different manufacturing divisions across Coventry, Leicestershire, Northampton and Oldham, opted to tap into CECs specialist support so it could maintain a growth trajectory that has seen its sales soar by £15m. 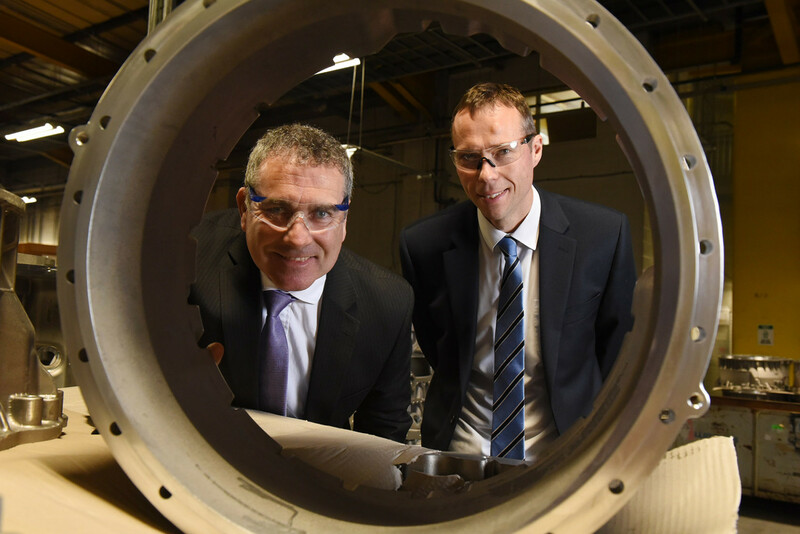 It has just hit £80m for the first time in its 69-year history after securing new work to supply lightweight parts for the off-highway, automotive and power generation markets. The company was faced with major increases in production and needed to manage energy consumption and spiralling utilities costs so it could manage the surge in volumes and create a platform for attracting even more work. It turned to CEC Direct, a specialist in utility management, procurement and support services, to provide a complete audit of the utility accounts and a review of how it could reduce its carbon footprint while also cutting spend. This has proved a wise approach, with the outcome of the report revealing a number of ways where the firm could reduce energy expenditure by adopting new working practices, agreeing fixed utility contracts and introducing more efficient manufacturing processes. When you are growing at the rate we are, one of the biggest costs to the business will be the amount of energy we use, Chris Shield, Group Managing Director, explained. it wasnt just a case of reviewing it though, we wanted someone who would be pro-active and come up with solutions that would give us performance and cost improvements. This is exactly what CEC did, with Chris Ellis leading a team of specialists that have successfully reduced the amount of energy we use by 15% - a significant achievement when you consider how energy intensive our businesses are. One of the recent exercises completed by CEC has been to reduce Shield Groups Green Tax liability, resulting in six figure savings per annum. Other improvements have been the installation of LED lighting across all of its six sites, investment in a new form of melting and supporting training to help employees understand the role they have to play. CECs Chris Ellis said: Chris and the team have done a fantastic job in growing the group and it is fast becoming one of the UKs best manufacturing success stories. CEC works with more than 900 companies across the UK every year, with its team of analysts providing an initial, no-obligation audit and then working with the customer to identify existing issues and opportunities to reduce bills or secure better supply contracts. The company has recently opened a new Bromsgrove office to service its expanding Midlands client base, whilst also launching CEC Direct as a transparent, clear and valuable alternative to the majority of energy brokers.